Nine years ago on October 7, the United States launched Operation Enduring Freedom along with the British military and other coalition forces in response to the September 11, 2001, attacks. Nine years later, more U.S. troops than ever before are in Afghanistan as part of a U.S. President Obama-planned surge; Afghan President Hamid Karzai has formed a council to help negotiate with the Taliban and find a way for peace; and more than 2,100 U.S. and coalition troops have died. In the United States, nearly six in 10 Americans continue to oppose the war in Afghanistan, the lowest level since the start, according to a CNN/Opinion Research Corporation poll last week. For some Afghans, the involvement of the United States remains divisive. In Kabul, the damage left over from past and present wars are daily reminders of a country long at the crossroads of history. Sirajuddin Haqqani, or Siraj Haqqani, is a senior Taliban commander and leader of the Haqqani network, which was founded by his father Jalaladin Haqqani. A long-time ally of al Qaeda, the group operates on both sides of the Afghanistan-Pakistan border and is well known to the U.S. military. 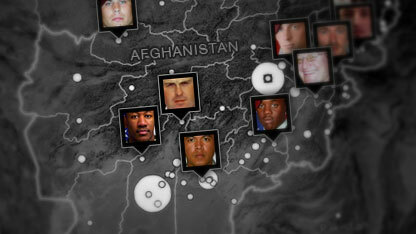 Haqqani has been a part of attacks against U.S. and coalition forces in Afghanistan. In news interviews, he has claimed planning the April 2008 assassination attempt on Afghan President Hamid Karzai and the 2008 attack on the Serena Hotel in Kabul that killed six people, including a U.S. citizen, according to the U.S. National Counterterrorism Center. Last year, the U.S. State Department announced a $5 million reward for information leading to Haqqani. In 2008, a U.S. missile strike on the Haqqani compound killed Haqqani family members including wives and children. 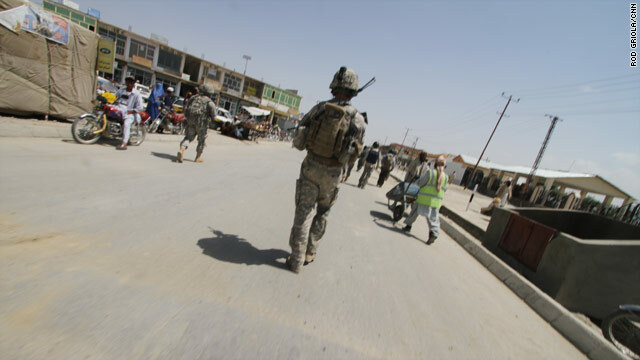 In July 2009, an American soldier and three Afghan soldiers were captured by low-level militants and then quickly "sold" to Haqqani. Haqqani was born around 1973. The elder Haqqani, Jalaladin, was among the mujahadeen fighters who received U.S. help to fight Soviet forces in Afghanistan in the 1980s.